“Those who will yet be born” “may they enter the tomb and see what is inside. You who enter this tomb, look and try to understand, read and restore these inscriptions”. See my previous article 28th April 2013. 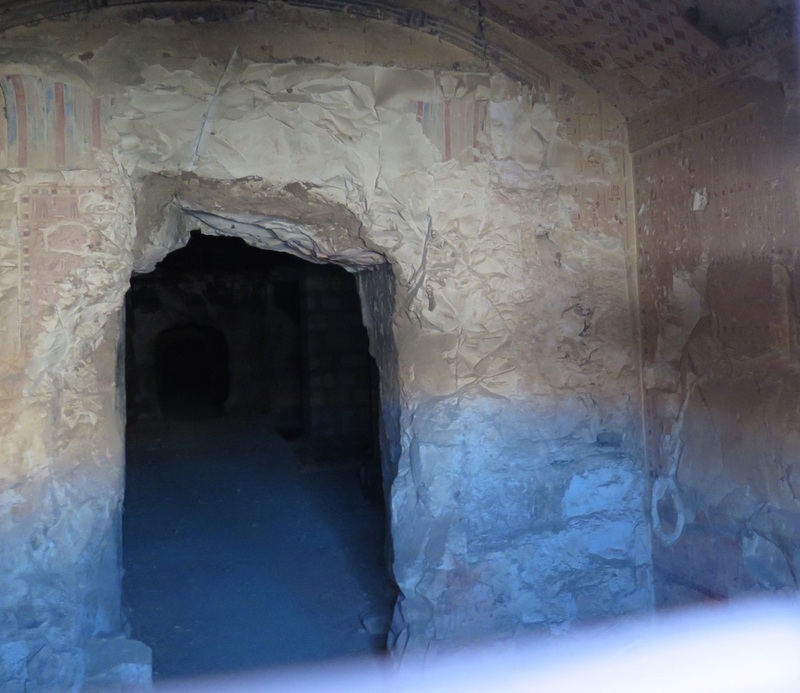 There are many stories that have been written about this tomb, the mysteries and its curse. It is written that the last attempted excavation occurred over a hundred years ago, when a number of archaeologists went down and never returned; so the record says. I simply cannot believe that the local authorities would allow such a thing to happen and not go inside to look for them. I spoke to Professor Claude Traunecker who confirmed to me that indeed, two people have died after falling down the burial shaft. Then I speak to a Doctor working at the site who tells me that no one has died in this tomb. Here are some of the facts on TT33 Tomb. The first incident of an accident in Tomb TT33 was in 1798, when a French man belonging to the French Campaign in Egypt were studying the antiquities of Upper Egypt. It is said that a French man entered Padiamenope’s tomb, with only a candle to examine the Hieroglyphs on the walls. However, he fell down a shaft to his death. Approximately two centuries later in 1874, a German Archaeologist was cataloguing the tomb when he also fell down this shaft. There is no record of what happened in this tomb after the death of the German. There was a further recent event when Professor Ali al-Asfar was accompanying some foreign Archaeologists on a tour of the tomb when he also fell down the shaft; he survived with only a broken bone or two. After these accidents, al-Asfar asked why the shaft was not covered. The reasons made were that there was once a metal cover but when it was removed several times for various people to go down the shaft, it got mislaid. It does now however, have a wooden bridge cross it and some lighting. There is much speculation surrounding Padiamenope and the curse that he placed on the vertical shaft that leads to his burial chamber and this has become another ancient myth. I had the opportunity to meet and speak to Pr. Claude Traunecker, the team leader of the project. 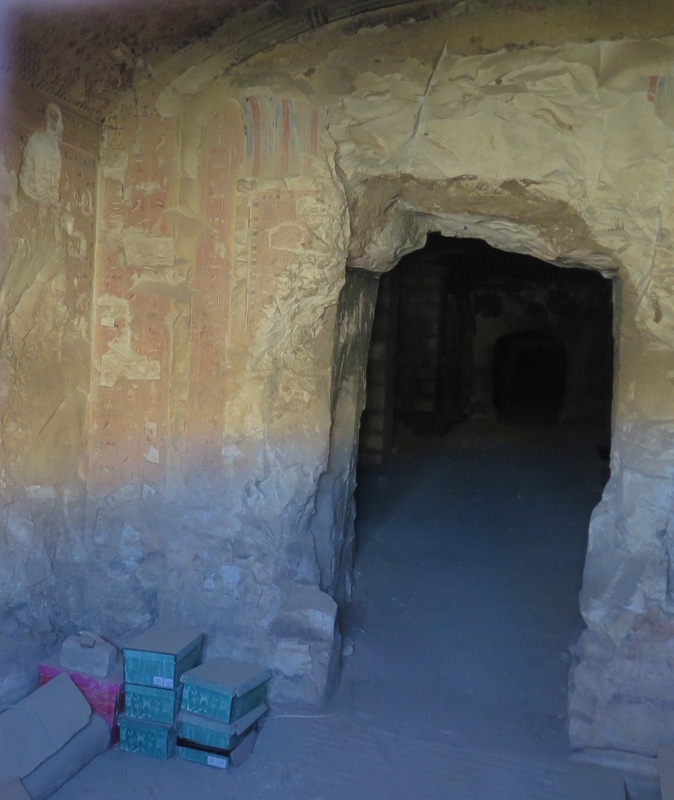 He tells me that there are 20 rooms on four levels, that there are coloured reliefs on most of the walls of the levels, that they have to wear masks inside the tomb owing to the ammonia build up caused by bat droppings. The team is not doing any excavations this season but is recording the inscriptions on the walls. There is still a lot to be understood about this amazing tomb.